Read what’s in the news today, February 6, as Vietnam entered the second day of the new lunar year. -- The health ministry of Vietnam has issued a new regulation allowing single women to seek surrogacy and artificial insemination using sperm from an anonymous male donor, medical procedures that have been legally available only for married couples. -- Fifteen people died and 13 were injured in 21 road traffic accident in Vietnam on Tuesday, the first day of the new lunar year, according to the National Traffic Safety Committee. -- Nguyen Thien Nhan, Party chief of Ho Chi Minh City, on Tuesday paid a visit to Tuoi Tre (Youth) newspaper and other media agencies based in the southern metropolis to extend his new year greetings and discuss ways to develop the media in the future. 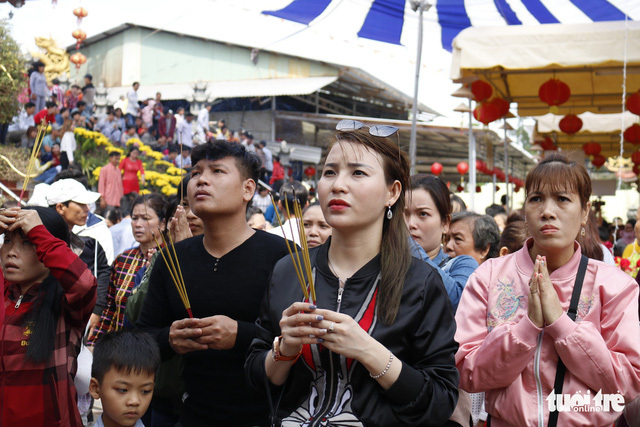 -- Vietnamese Prime Minister Nguyen Xuan Phuc on Tuesday sent his best wishes to armed forces and residents in Da Nang as he visited the central city on the first day of the Year of the Pig. -- Party General Secretary and State President Nguyen Phu Trong on Tuesday visited police officers, staff of the National Load Dispatch Centre (NLDC) and environmental workers in Hanoi who were on duty on the last night of the Year of the Dog on Monday to thank them for their devotion and wish them well in the new lunar year. -- There has been an increasing number of Vietnamese people who prefer to traveling instead of staying in their hometown for the Tet holiday, according to statistics revealed by hotel booking sites, as local tour operators said they are sending tens of thousands of tourists on domestic and outbound trips this Lunar New Year. -- Deputy Prime Minister Vuong Dinh Hue has highlighted remarkable results of Vietnam's economic development in 2018 and made positive forecasts for the national economic growth in 2019 in a recent interview with Vietnam News Agency. -- State-owned Vietnam Bank for Agriculture and Rural Development (Agribank) has for the first time been assigned Ba3 deposit and issuer ratings by Moody’s, one of world’s leading credit rating agencies. -- The National Power Transmission Corporation (EVNNPT) has said it plans to launch 33 new power transmission projects and put into operation 47 projects that are already under construction in 2019, with a total capital investment of VND19.5 trillion (US$839 million). -- Dang Van Lam, the first-choice goalkeeper of the national men’s football team of Vietnam, has passed a medical examination to officially play for Thai football club Muangthong United and will be presented at a press conference on Thursday.